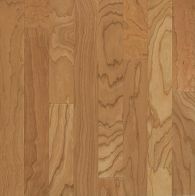 Hardwood flooring starting at $2.99 sqft. We can say that at Carpet Mill Outlet Flooring Stores we know hardwood flooring and we understand the features, advantages and benefits of hardwood flooring that make it a solid flooring choice – one of America’s most popular. Which is why we want you to know, what we know! At Carpet Mill Outlet Flooring Stores we provide our customers with a rich, inviting hardwood floors which are not only beautiful to live with but are also easy to care for simultaneously adding value to your home. Here at Carpet Mill, we’ll help you select the right wood floor and assist you in wood flooring installation. There’s just something really special about hardwood floors. The elegant look of a hardwood floor can add warmth and character to any room of your house. It’s one of the oldest flooring products so there’s a level of comfort with it and it’s very durable. It’s also so versatile that it offers an infinite number of possibilities from different species to adding borders and inserts. 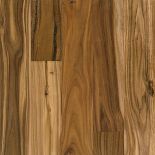 Hardwood floors costs vary from the type of species you are interested in and the availability. With Hardwood floors, there are so many choices and styles. Each adding a unique look and feel to your home’s decor. Classic to Edgy Chic, you’ll find the perfect hardwood flooring options for your home that’s suite your individual style… Oak Flooring, Bamboo Flooring, Cherry Flooring, Hickory Flooring, Walnut Flooring, Acacia Flooring and Cork Flooring to name just a few. Make sure to do your research for which type of hardwood flooring best reflects and suits your personal style and needs. Classic oak hardwood flooring is one of the most popular trends in hardwood flooring due to its timeless look. The warmth and character that this hardwood brings to a home will never go out of style. Since oak hardwood has a light, neutral color to it, oak hardwood flooring can be stained in a variety of ways to complement many different hardwood flooring designs. Cherry hardwood flooring is fine-crafted for exceptional quality. 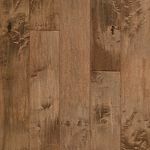 Its satiny texture and fine graining sets it apart from other floors and is perfect for a room where you want an extra-stylish setting. The timeless appeal of cherry hardwood flooring will help make your guests feel welcome from the moment they step in the door. Known for the way it makes a bold statement, hickory hardwood flooring is available in rustic and distressed looks that will add character to your home. Hickory hardwood flooring is also an especially durable hardwood, which makes it a perfect choice for areas of high traffic. You can’t go wrong with the beauty and practicality of hickory hardwood flooring. Maple hardwood flooring has a fashionable, versatile appearance. Because maple hardwood floors look great in any room no matter the style or décor, they are a must-have in the eyes of many homeowners. Like most hardwood floors, maple hardwood flooring adds value to your home – but since maple is especially durable, a maple hardwood floor can last for generations. 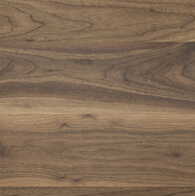 Acacia is prized in flooring and furniture making for its durability and for its appearance. Acacia wood is an extremely durable hardwood. While some woods are easily permeated by water, which causes them to warp and rot, acacia is not. In fact, acacia wood can be cleaned using water, and the wood is so dense that the water won’t permeate it and cause damage. It is said that even if acacia wood hasn’t been treated or protected in any way that it still lasts up to 40 years. 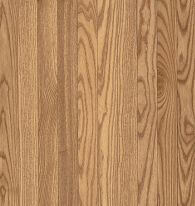 Acacia wood characteristics are moderately wavy interlock grains noted for their rich depth. Appearance highlights are coarse grain and open texture. Tones from medium brown to grayish brown to an olive color, with darker streaks. 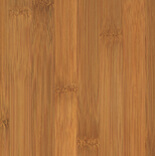 Bamboo flooring is a big, new trend in flooring. It is often categorized with hardwood, but it’s actually a grass. They are very similar in how they are installed, how they are cared for, and where they can be installed. And, like grass, cutting Natural Bamboo does not kill the plant. An extensive root system remains intact, allowing for rapid regeneration. This quality makes Natural Bamboo an ideal plant for areas threatened with the potentially devastating ecological effects of soil erosion. In comparison to wood species, Natural Bamboo is very durable, 27% harder than oak and 13% harder than maple. Bamboo is composed of complex fibers that do not absorb moisture as easily as wood and is guaranteed to not cup under customary and normal use. Exotic and elegant, the beauty of Natural Bamboo will enhance your interior while remaining true to its natural origins. Carpet Mill Outlet Stores are located across the Front Range providing budget hardwood floors in Arvada, Aurora, Evergreen, Fort Collins, Highlands Ranch, Lakewood, Littleton, and Thornton. Visit any of our stores and our helpful staff with assist you with all your hardwood flooring needs.